Useful for tract tracing studies of up to 7 days. Spectrally compatible with most fluorescent genetic tags and NeuroVue® Red, Orange, Jade. 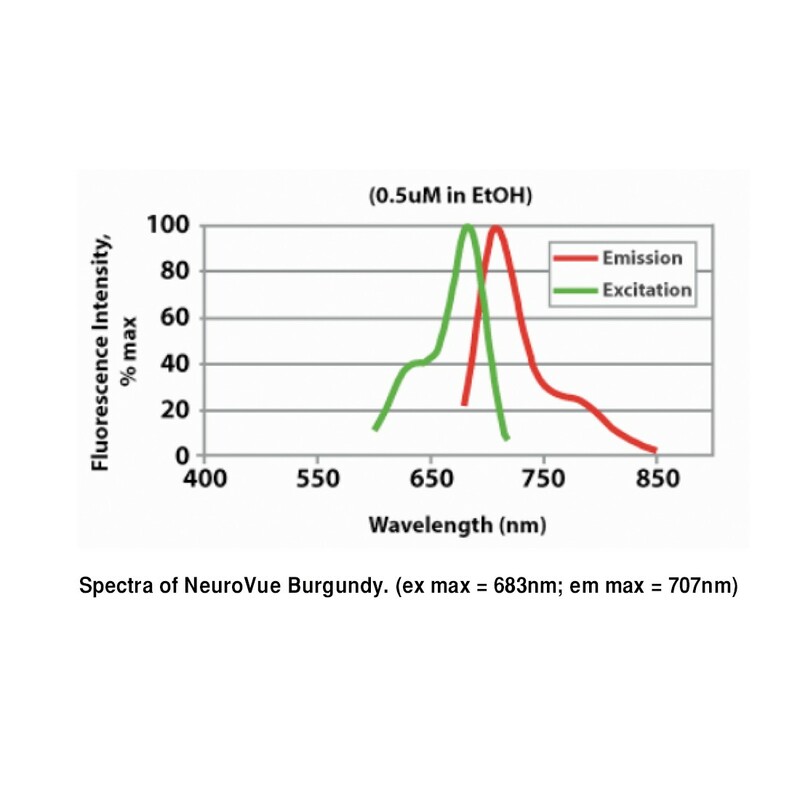 Spectral unmixing required for use with NeuroVue® Maroon.